Represent your LES MILLS™ tribe in this women's tank top. A mesh panel at the back helps provide maximum ventilation for a cool feel at the studio. 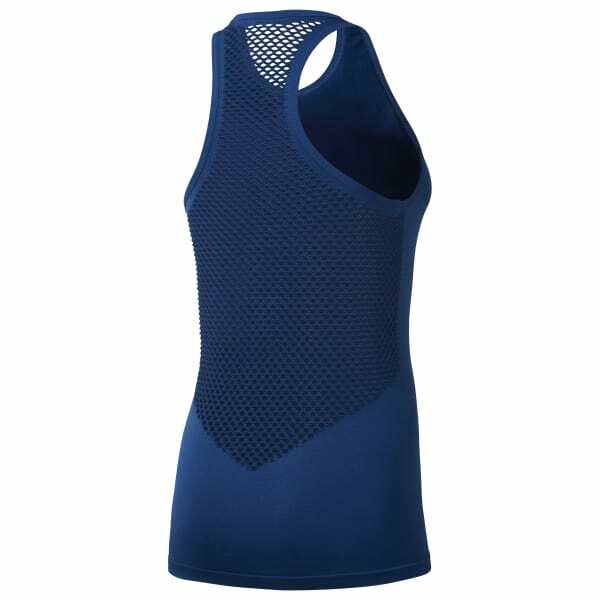 The top's racerback design doesn't hold you back from push-ups or weightlifting, plus, Speedwick technology wicks moisture.